I'm an agent with Keller Williams representing a buyer after a home inspection came back with concerns of water in the basement. Just getting an idea of what it would look like to Fix. Thanks so much! We will properly install a hidden drainage system in your Blue River basement and completely encapsulate your crawl space with CleanSpace vapor barrier. We are here to solve the problem for you. Unlike the average Blue River contractor we use completely inorganic, waterproof materials. Even if the basement floods your walls and floors will not be damaged by the water. These waterproof products are patented and are built to create an attractive finished basement that lasts a lifetime. In Blue River, earthquake risk is a reality. That is why it is critical to have your home properly reinforced and prepared for any seismic event. At John's Waterproofing, we provide seismic retrofitting services on your home or business using metal connectors and other reinforcing methods and materials. The goal is to counteract racking, sliding, and overturning, the 3 major earthquake-induced forces that can damage or ruin your structure. For a FREE no-obligation written estimate in Blue River, OR, please click below and John's Waterproofing will contact you shortly. We received a call from a homeowner in Blue River, Oregon who was concerned about their wet crawl space. Our crews went out to fix the problem. After clearing out all the debris from the crawl space, they installed CleanSpace encapsulation system on the walls and floor of the crawl space. CleanSpace prevents any moisture or water vapor from coming into the crawl space from the walls or floor. It also helps lower energy costs and keeps out pests. They also installed a SmartSump sump pump. The SmartSump is designed for crawl spaces with a liner and lid that form a tight seal around the CleanSpace liner. 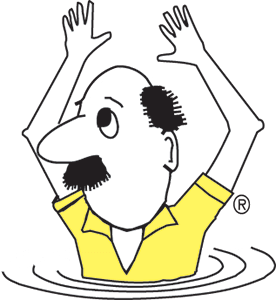 It also has a built-in WaterWatch alarm to alert the homeowner of a plumbing leak so that the problem can be fixed before any damage has occurred. Now this homeowner now can have peace of mind knowing his crawl space is dry and healthy for years to come.